In November 2011, the United Nations Educational, Scientific and Cultural Organization (UNESCO) officially designated April 30 as International Jazz Day in order to highlight jazz and its diplomatic role of uniting people in all corners of the globe. 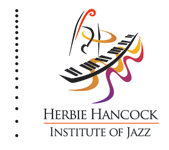 International Jazz Day is chaired and led by UNESCO Director General Audrey Azoulay and legendary jazz pianist and composer Herbie Hancock, who serves as a UNESCO Ambassador for Intercultural Dialogue and Chairman of the Herbie Hancock Institute of Jazz. The Institute is the lead nonprofit organization charged with planning, promoting and producing this annual celebration. St. Petersburg, Russian Federation served as the International Jazz Day 2018 Global Host City. Festivities took place from April 28 – 30 in some of the city’s most significant venues, including the Saint Petersburg State Jazz Philharmonic Hall and the Mariinsky Theatre. Havana, Cuba served as the 2017 Global Host City. As part of an extended International Jazz Day celebration, from April 24 through 30 acclaimed musicians and educators from Cuba and around the world participated in free jazz performances, master classes, improvisational workshops, jam sessions and community outreach initiatives. Programs took place at schools, arts venues, community centers, jazz clubs and parks across the city of Havana and throughout Cuba, leading up to the festivities on April 30th. Additionally, jazz history and education programs were provided for tens of thousands of students in over 11,000 schools across Cuba. Washington, D.C. served as the International Jazz Day 2016 Global Host City. President Barack Obama and First Lady Michelle Obama hosted the International Jazz Day All-Star Global Concert at the White House. The show aired as a U.S. network television special and was streamed around the world via the United Nations, UNESCO and the U.S. State Department. A host of jazz legends and rising stars performed, including pianists Joey Alexander (Indonesia), John Beasley (Music Director), Kris Bowers, Chick Corea, Robert Glasper, Herbie Hancock, Danilo Pérez (Panama) and Chucho Valdés (Cuba); trumpeters Terence Blanchard, Till Brönner (Germany), Hugh Masekela (South Africa), James Morrison (Australia); vocalists Dee Dee Bridgewater, Jamie Cullum (UK), Kurt Elling, Aretha Franklin, Al Jarreau, Diana Krall (Canada), Dianne Reeves and Sting (UK); saxophonists Eli Degibri (Israel), David Sánchez, Wayne Shorter and Bobby Watson; bassists Christian McBride, Marcus Miller, Esperanza Spalding and Ben Williams; guitarists Buddy Guy, Lionel Loueke (Benin), Pat Metheny and Lee Ritenour; drummers Brian Blade, Terri Lyne Carrington and Kendrick Scott; percussionist Zakir Hussain (India); trombone player Trombone Shorty; and the Rebirth Brass Band. More than 60 jazz performances, education programs and community service initiatives were presented free of charge across Washington, D.C. on the National Mall, at historic Dupont Circle, in the city’s metro stations, and at museums, libraries, social service agencies, hospitals and performing arts centers. Paris, France served as the 2015 Global Host City. Rich in history and culture, the City of Lights was a fitting choice for this year’s host celebration given its historically vibrant and innovative jazz scene. A daylong series of over 80 performances and education programs, including workshops, master classes, jam sessions and panel discussions, took place across all 20 city districts. The vast majority of events were free and open to the public. An array of French and international artists participated, ensuring that the streets of Paris truly did ring with the sounds and sights of jazz from morning until night on April 30. In conjunction with UNESCO’s 70th Anniversary celebration, a spectacular All-Star Global Concert took place at UNESCO headquarters on the Place de Fontenoy, with opening remarks by UNESCO Director-General Irina Bokova and United Nations Secretary-General Ban Ki-Moon. The show featured more than 20 extraordinary artists from 14 countries, including pianists John Beasley (Music Director), A Bu (China), Antonio Faraò (Italy) and Herbie Hancock; trumpeters Till Brönner (Germany), Hugh Masekela (South Africa) and Claudio Roditi (Brazil); vocalists Dee Dee Bridgewater, Al Jarreau, Rudy Pérez and Dianne Reeves; saxophonists Igor Butman (Russia), Femi Kuti (Nigeria), Guillaume Perret (France) and Wayne Shorter; bassists James Genus and Marcus Miller; guitarist Lee Ritenour; drummer Terri Lyne Carrington and harmonica player Grégoire Maret (Switzerland). Osaka, Japan served as the 2014 Global Host City. The day’s festivities began with 6 hours of free jazz education programs at the state-of-the-art Osaka School of Music, where musicians, journalists, philanthropists and educators converged to deliver workshops, lectures, master classes, panel discussions and more. Opening with a rousing duet rendition of Louis Armstrong’s “West End Blues” by Japanese jazz artists and philanthropists Yoshio & Keiko Toyama, the daytime activities included such highlights as an interview between Associated Press journalist Charles Gans and renowned vocalist Dee Dee Bridgewater on jazz and human rights; a discussion featuring UNESCO Goodwill Ambassador Herbie Hancock and UNESCO Artist for Peace Marcus Miller on “Artists for Peace & Cultural Diplomacy;” and instrumental workshops with acclaimed artists Terumasa Hino and Earl Klugh. This year’s educational program reached over 10,000 people with the help of live streaming technology. The evening All-Star Global Concert at the famed outdoor Osaka Castle Park featured stunning performances by Toshiko Akiyoshi, John Beasley (Musical Director), Kris Bowers, Dee Dee Bridgewater, Terri Lyne Carrington, Theo Croker, Sheila E., Pete Escovedo, Roberta Gambarini, Kenny Garrett, James Genus, Roy Hargrove, Lalah Hathaway, Terumasa Hino, Earl Klugh, Marcus Miller, Thelonious Monk, Jr., Gregory Porter, Claudio Roditi, John Scofield, Wayne Shorter, Esperanza Spalding, Lew Tabackin, Steve Turre, Dionne Warwick and other internationally acclaimed artists. Dignitaries from UNESCO and the Japanese government also attended. In a stirring demonstration of the true breadth of International Jazz Day’s message, the audience was treated to a special video message from astronauts aboard the International Space Station orbiting over 200 miles above the earth’s surface. The concert was streamed live and seen by millions of people worldwide on www.jazzday.com and via the UNESCO, United Nations, U.S. State Department and Institute websites. Additionally, the concert was taped for broadcast on public television stations around the world. Istanbul, Turkey was named the 2013 Global Host City for International Jazz Day. The city hosted a daylong series of jazz events including workshops and seminars, panels and roundtable discussions, film screenings, student master classes led by prominent musicians and educators, and – of course – live performances. The crowning event of the celebration was the Global Concert in the Hagia Irene, a 4th-century Byzantine Church. The star-studded evening featured an extraordinary series of performances from Dale Barlow (Australia), John Beasley, Rubén Blades (Panama), Terence Blanchard, Igor Butman (Russia), Terri Lyne Carrington, Anat Cohen (Israel), Vinnie Colaiuta, Imer Demirer (Turkey), George Duke, James Genus, Robert Glasper, Herbie Hancock, Zakir Hussain (India), Al Jarreau, Bilal Karaman (Turkey), Ramsey Lewis, Pedrito Martinez, Hugh Masekela, Branford Marsalis, Keiko Matsui (Japan), John McLaughlin (Britain), Marcus Miller, Thelonious Monk, Jr., Milton Nascimiento (Brazil), Eddie Palmieri, Alevtina Polyakova (Russia), Jean-Luc Ponty (France), Dianne Reeves, Lee Ritenour, Hüsnü Şenlendirici (Turkey), Wayne Shorter, Esperanza Spalding, Joss Stone, Joe Louis Walker and Ben Williams. Attendees also heard remarks from International Jazz Day Co-Chairs Herbie Hancock and Irina Bokova, and guest speaker Martin Luther King III, among others. The evening’s festivities were broadcast live online and on public television stations worldwide, with “Listening Parties” organized in countries from the U.S. to Trinidad and Tobago to Georgia to Bhutan. 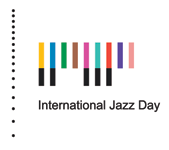 UNESCO and United Nations missions, U.S. embassies and government outposts around the world hosted special events for the first annual International Jazz Day on April 30, 2012. Universities, libraries, schools, community centers, performing arts venues and arts organizations of all disciplines around the world marked the day through concerts, education programs, seminars, lectures, book readings, public jam sessions, master classes, photo exhibitions, dance recitals, film and documentary screenings, theater presentations and spoken word performances. More than one billion people around the world were reached through 2012 International Jazz Day programs and media coverage. In 2012, UNESCO and the Institute presented three high-profile programs: a daylong celebration in Paris at UNESCO world headquarters; a sunrise concert in New Orleans’ Congo Square, the birthplace of jazz; and a sunset concert at the United Nations General Assembly Hall in New York City. Among the world-renowned artists that participated were John Beasley, Tony Bennett, George Benson, Terence Blanchard, Richard Bona (Cameroon), Dee Dee Bridgewater, Candido, Terri Lyne Carrington, Ron Carter, Vinnie Colaiuta, Robert Cray, Eli Degibri (Israel), Jack DeJohnette, George Duke, Sheila E., Herbie Hancock, Antonio Hart, Jimmy Heath, Hiromi (Japan), Zakir Hussain (India), Chaka Khan, Angelique Kidjo (Benin), Lang Lang (China), Joe Lovano, Romero Lubambo (Brazil), Shankar Mahadevan (India), Ellis Marsalis, Wynton Marsalis, Hugh Masekela (South Africa), Christian McBride, Marcus Miller, Danilo Pérez (Panama), Wayne Shorter, Esperanza Spalding, Tarek Yamani (Lebanon), Treme Brass Band and Stevie Wonder. Hosts included Robert De Niro, Michael Douglas, Morgan Freeman and Quincy Jones. 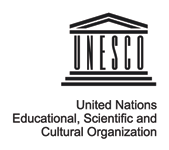 The Institute and UNESCO will continue their partnership to encourage schools, universities, libraries, arts organizations, community centers and other entities in UNESCO’s 195 member states to host jazz concerts and educational programs on International Jazz Day. Our goal is to reach people of all ages and backgrounds, in order to include them in this global celebration of freedom, creativity, and – above all – jazz.